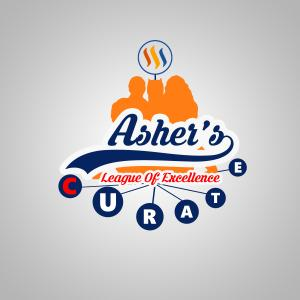 The Curation and Engagement Leagues - More than 25 STEEM in prizes this week! Welcome to this weeks Curation and Engagement leagues, kindly sponsored by @carlgnash and @paulag. The leagues (tables) are reset each week and so any time is a good time to join! On your marks, get set, curate! Vote before the big hitters, but not too early! Voting on @ocd posts is likely to gain good curation rewards as founder @acidyo, and @anomadsoul support these posts after giving time for other accounts to vote - you will be in front of a couple of large votes here! As you can see, a combination of many variables such as Steem Power, voting strength, voting weight, time of vote, and more, all play a part in the amount of rewards received. Spread your vote and write lots of engaging comments! The raw data has been collected from SteemSQL - @arcange's MS SQL Server copy of the Steem Blockchain. The 2nd and 3rd points above are not 'bad' actions, but are required to reduce distortion of the figures. And, as curation rewards for the past week are actually taken from votes made up to 14 days ago, we need a two week 'window' as mentioned above. Don't let this put you off entering though - you will be automatically be excluded/appear each week, depending on the criteria above. The end column is what I think is a genuine indicator of how well you are financially working the curation game with the tools, including vested Steem Power, that you have at your disposal. Playing his cards tight to his chest it seems - lets see if he'll comment further this time! A fine job also by @palikari123, @crypto-econom1st, @voiceoff, @misterakpan, @steemitri, @pataty69, @sciack, @reazuliqbal, and @doomsdaychassis for completing the top 10 'financial' curators this week. League 2 - Engagement and Excellence - Write on! This the newer league which is not based around financial rewards and relates to engagement. Everyone currently on my master list has a chance here - including those powering down or dealing in delegations this past couple of weeks. Firstly, if you are placed in the table above then you are doing great and are among the top 20%! - Well done everyone! Congratulations to this weeks Engagement League winner, she's back! It's the lovely @lynncoyle1! With almost 600 comments and around half of these replies made at a depth of 3 of more in a 'conversation' thread, this level of engagement has given Lynn top spot this week! @glenalbrethsen is an honorable runner up (as he was last week! ), typing over 150,000 characters in his 250 replies. A fine job Glen, and congratulations if you were on the receiving end of one of those walls of text! These two are way ahead in the scoring, but @gillianpearce grabs 3rd spot (ahead of yours truly!) engaging well, and still finding the time to produce 27 posts! Well done all 3 of you! Excellent engagement levels and top 10 (? 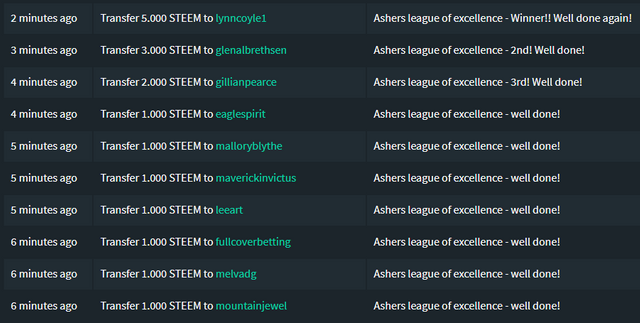 :D ) places for @eaglespirit, @malloryblythe, @maverickinvictus, @leeart, @fullcoverbetting, @melvadg, and @mountainjewel who will all be receiving some STEEM this week. Do you want to be a part of the leagues? Let me know below! Prize courtesy of @fullcoverbetting - Well done to @crypto-econom1st! A week off this week having recently delegated to @comedyopenmic and @dustsweeper - 2 really promising projects. Or, let me 'manage' your witness choices by adding @abh12345 to the 'proxy' field at the same URL. Spectacular job another amazing week for this game changing contest on steemit. abh12345 I thought you were a witness? You talk to more of us on the ground than a snake with tourette's. @lynncoyle1 half human half amazing, once again! Congratulations on the efforts this story is movie worthy, you really should be keeping a journal! Amazing efforts, a lot of recognized names, if you are finishing behind those in the green I would chat with those above and you will very very likely find someone very cool that will give you no choice but to improve yourself on this platform! Yeah well you know, practice what you preach and all that. Wow! I really didn't see that one coming this week :) Thank you @abh12345 once again for hosting such a positive contest, and @paulag and @carlgnash for all of your support! A big congratulations to you, @glenalbrethsen, @gillianpearce, @eaglespirit, @malloryblythe, @maverickinvictus, @leeart, @fullcoverbetting, @melvadg, and @mountainjewel and everyone on this list!! So glad that I could brighten up your day too! I wouldn't advise, however, trading it for an ice cream truck. Well, it was your crown to give away, so hey, to each their own. I bet the crown was an easier trade than the winner's jacket was. Speaking of which, has @themanwithnoname popped in yet? I haven't seen him since last week when he said he was going on a trip. Was thinking he'd be back by now. haha the winner's jacket...no takers here...too hot. Oh, okay, two weeks. He didn't tell me how long, and so I guess I figured one week would be more than enough time to be gone. I mean, what is he thinking? More rest and relaxation? Sheesh. The queen is back on her throne where she deserve to big! 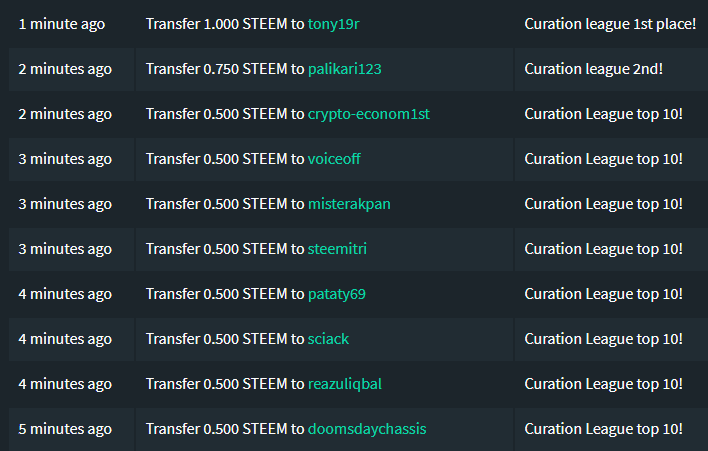 Crazy how engaged you are to the Steem Blockchain. It is really great to see you back at the top spot. This reminds me of the moment I did start at the league. You and @gillianpearce rocking the place! I was going to say "those were the days" @fullcoverbetting but actually is fine now. Less intense! Lets see if the three of us can repeat this. Meaning myself in the top 10 and the two of you on the top 2 places. I'm happy to land in the top ten. Being third last week was a bit of a fluke a think. As soon as someone else ups their game just a little I'll be gone. I'll be looking out for your return to the top ten though! Regarding the typo . . . I'm more than a little harassed at the moment. The computer shop wiped all my photographs from my computer yesterday and I've just spent six months organising them into folders. Ouch, that indeed can create a lot of frustration. Keep calm and think positive! I am doing my utmost best to catch them up but just like in your case, this probably will never happen! Ulthough the world cup is approaching fast, which will give me lots of posts to comment on. I will have to profit from the first two weeks because them I will be on a holiday! My wife is already pissed that I have to take the laptop with me to keep track of the world cup contest! But some sacrifices have to be made to support the Steem ecosystem! I don’t believe it that you third place was a fluke. If you got there, you deserved it! I'm not doing well with thinking positive about the photographs. I'll myself the day to wallow as I see if I can save any of them. After that I'll just have to accept it and start all over again. Or not. Right now I can't face the thought of starting all over again. Congratulations from a newbie aka plankton. I was amazed by the sheer depth of this post and the message it conveying. As my primary purpose with Steemit so far is posting on a daily basis and doing some comments now and then but this tabulation and statistics made me wondering and pondering about myself. Asher, its so great to see the engagement levels week to week. I'm happy to see @malloryblythe and @eaglespirit jump to top 5 too! That's awesome! And of course, all hail the Queen @lynncoyle1, she truly is amazing and I'm always thrilled to see her spread her uplifting and wonderful messages all over this place! And @glenalbrethsen was just edged out, so my guess is the King and Queen will duke it out this week as the royal order will be restored! Congrats to both of you this week, you both deserve it as you are terrific engagers for sure! I also want to thank all those that participate every week, as @paulag's data shows, this league (which highlights engagement) is a perfect indicator of retention. If you're engaged, you stay.. Simple as that! So thanks for highlighting it and giving us a fun way to measure this activity! Thanks for the generous $0.50 steem 0 vote spot prize too, I will donate that to @friendsofgondor to support @fulltimegeek's stewardsofgondor. I also want to thank you for supporting @dustsweeper with your personal delegation too, that is helping to get that program going and helping many newbies/minnows in the process! It's a pleasure to support the @dustsweeper imitative, one that clearly and directly benefits minnows. The top two had it between them this week, streets clear of the chasing pack, and I agree that I don't see anyone bridging the gap this next week. Also, great job with the @friendsofgondor project, that one is growing steadily and supports a host of solid steemias. Thanks Dave...It's feels so nice having the crown back on my head :) And congratulations to you my friend! Well, thanks for the congratulations. Well, thanks for the idea. I've seen the Pay It Forward post before. I can't remember if I ended up looking at any of the posts or not. At any rate, I'll see about checking back there. My first time placing in Leage 2! Thank you Asher! That and I basically spent the entire week on here. The contest certainly kept me busy and responding to people, and then joining up with the daily freewrite selfie contest kept me posting as well. It's been a good week! We'll see! It's just in my personality to binge when I get excited about something, but binges don't last forever. I'm still going with the freewrite contest. The prize is just too good to give up now, though I have no idea how I'm going to keep this up for 50 days. I also don't have a ton of SBD to keep giving away in overly extravagant contests. :p This league is great motivation to keep going with it though! 50 days is a long time, hopefully this and the leagues will keep you trucking! First time and you made it to the top 10. Well done you! Congrats! with 150,000 wow characters! your keyboard is really burning and you always have the right words in your comments and in the third place @gillianpearce plus 27 publications, is that you really put your heart into steemit, a thousand congratulations to you and to all the others well done.... it is an honor to be a part of this league and I have to name the mind of all this; my favorite statesman @abh12345 who gives us the opportunity every week to give the best of ourselves and stand out on the net, a big hug for you and a thousand thanks... this league team is my favorite! PD:I hope my translator is helping. Well done on your score this week! It's done with love, thank you for your kind comment. I'm late to the party, again, but it's good to be here and thank you for the kind words. I'm glad to be your friend. :) My keyboard, however, wasn't burning up nearly as much this week as it was used to. For some reason, I couldn't find as much to comment on as normal. I don't know why. I went around looking where I normally do, and added a couple of spots, but it was like people just disappeared. I'm going to guess I'm the only one that happened to. Booyah!! Not upvoting oneself makes a Huge difference!! Woo Hoo!! Yes you have been very close to the 10, and the 0 upvotes this week has done the trick. Well done! Have you calculated if it more beneficial to upvote or to go for a top 10 position? I'm going to be honest and say that if you upvoted all your own posts this week, you would likely earn more than the prize money. But where's the fun in that!? i made alot of new baby (noob) friends this week and im in the freewritehouse contest so i was able to upvote more there too, instead of using it on my posts. i feel i will continue to not upvote my posts for that reason. This is great to hear! I do feel that the 'hidden' benefits of saving your VP for others will bring more value back to minnows, than self-upvoting. My pleasure each week, thank you for listening in! yes, at first i was hesitant because i did not have as much to share. now that i have expanded a bit and i'm sharing what was given to me by delegations and such i figured it would be nice to do this. if i couldn't afford it and i saw myself not gaining anything then i would prob change my mind. after all many of us minnows do not have that much to spread around. thank you again and i will definitely listen in again. great stuff! plus i just delegated to PAL too ahahah i love the music being played every time i go in there. Hey! Nice to see you up in the Top 10. Well done. It's been a long time coming, and I'm glad you found the combination of different things that worked for you. Now, it's just onward and upward, right? hiya GB!! can you believe it?? you been cheering me on all along and thank you for that!! i won't be #1 like all you all but this is a great group and i love just hearing from you. it was touch and go with my frustrations but figuring it out was pretty cool. making different adjustments and such. thanks again!! Well, you deserve all the credit for placing where you did last week. I didn't want to see you give up out of frustration when it was readily apparent you had the numbers and were accomplishing good things. Great job @eaglespirit! I'm happy to see you so high! that's good, more dust stuff is certainly available... In a way its awesome to see people get dust, it means they are talking to the people with small votes... And isn't that how we build a community? I am most definitely not in it to be #1 @eaglespirit. I'm actually not competing at all these days. I only did that for the first two weeks after I joined and I didn't like the feeling it gave me. If the League didn't exist I wouldn't be doing anything differently. I enjoying engaging with people. It's the main thing that keeps me here. In fact I'm in a bit of a Steemit slump right now. This morning was really quiet because I was up late last night. oh no kidding? for some reason i thought i saw your names up there and cool that it isn't your weekly goal! good for you. what kind of feeling did it give you? i think i would feel a lot of pressure, and as you can see, (maybe not) but i am the same way. i enjoy engaging and have been since day 1. i was just upvoting myself and that took me to the lower numbers. i had not seen this league until about 1-2 months ago and i'm almost on steemit 6. i can't believe that, wow!! It just made me feel miserable @eaglespirit because it turned into a "should". The thing is in my heart I don't care about winning but I have this competitive side that once engaged takes over. It's like it has a life of it's own. It's weird writing about it now because I don't feel like that anymore and it's hard to connect with feeling that way. It's almost like some instinct gets triggered and I respond before I'm aware of it. Anyway, I'm just glad everything has settled down now. Yes, it is about enjoyment and I am nearing my 6th month and its all about consistency and enjoying. One thing on my side is loving to write and I have learned so much and continuing on with that too. It's very important to me as well as learning from folks like you. I must be nearing my sixth month. My my. That's flown by. Congratulations to all winners! and to @lynncoyle1 for assuming your role once again at the top...lol..keep it up! To @abh12345 I have to say man, it feels good to be a part of your contest, you're doing a great job here, it's been real and consistent. Thanks for doing the good work that you do! I want to echo your thoughts regarding the good that is happening here in the leagues. If you're feeling it and seeing it, then others are seeing it to as we get out on their posts to curate and engage. So thanks to you, too, for being a part of this. Thanks @voiceoff! You did a fantastic score too! I was surprised to see my name in the list however - I haven’t been very active. This community is full of good guys, I'm glad to be a part. Nice to see you, surprised or otherwise. How did the surgery go? That was last week right? Starting to feel better, I hope. Congratulations on showing. I wondered if our numbers over all were down, too. I know mine was. Haven't finished below 30,000 points in a while. For now, my girlfriend is doing all of the gardening jobs for me. All i need to do is take careful strolls around and tell her how I want it. Quite a luxurious start of the gardening season, to be honest... Yesterday she even went in while i was still asleep, so she’s actually starting to like it, hahaha. Well great to see that @crypto-econom1st took the 25th place. You were curious last week what the price was and now you know for sure. I have sponsored you 1 SteembasicIncome share! I will comment on the results later on this week. Because the world cup contest is absorbing a lot of time! Good luck organising the competition, I saw you are doubling the numbers! Yep. The numberif entrants is unexpected. I was hoping in 10 but it could easily become 200. It is always an honor to sponsor the Lucky 25! Glad that I am able to do this! Never got into that brand of football. It can be exciting, and it can be a lot of running around, depending on who's playing. I watched a lot last time primarily because the U.S. was in it. Now, I guess they got eliminated a long time ago. Still, my wife (she's from Mexico) will probably watch some, along with my youngest son, who is into all kinds of sports, so I'm bound to walk in and see a match going. Do you remember who did eliminate the US during the last World Cup? It was Belgium for sure. Your goalie played the game of his life but got beaten in the end my his team mate Lukaku! My pleasure, have a lovely evening guys! Congratulations on the Top 10 placement, and winning Asher's welcometosteemit contest. Overall, a pretty good week, wouldn't you say? No idea how I ended up in third place. It seems like it's harder to find the quality posts these days so I'm commenting less but maybe I'm imagining it. And a number of people I used to have conversations with are posting a lot less, if at all. Anyway, I'm very grateful for the winnings @abh12345. Thank you for compiling the Leagues, as always. and to @carlgnash and @paulag for your sponsorship. Second week in a row for the second place finish, but only be eked out by less than 1,000 points is better than being beaten by much more. I had a similar week as you did. There just didn't seem to be a whole lot of people around posting or commenting. What I did find to comment on, people didn't seem to reply so much, so anyway, it was my worst week in a while. I was delighted to end up third @glenalbrethsen and don't expect to do so again if others up their game. And that's also fine with me. Glad to hear you had a similar experience to mine regarding fewer people around posting and/or commenting, from the point of view that I wasn't imagining it. I'm also starting to notice a marked difference in days of the week. Monday and Tuesday are by far the busiest for me. On those days I skip more posts than on others and don't have enough Steem Power to upvote all I'd like to. Then it starts to tail off. Mondays are by far my busiest, and depending on how busy, so are my Tuesdays. There was one week a few weeks back where it took me to Wednesday to catch up. I did make it through all the posts in my feed, though. I just didn't make it out much farther than that, like I would normally. I haven't really noticed any patterns for finding posts to comment on @glenabrethsen. I seem to run out of time nowadays before I can start exploring new accounts. I used to look through the new tag but it seems to be mostly spam accounts of reps lower than 30 so I've given up doing that. I haven't found anything to replace it yet. I think most of the people I'm currently following are still out there, they just aren't posting as much (I see them commenting here and there). The rest of you all are a part of the league, so I am trying to comment on as many of everyone's posts as I can. As you say, though, time does eventually run out, and I don't always come up with something to say. I go to the introduceyourself tag and that's exactly what I find, too. Plus a lot of languages that I don't understand. So, not going to be very meaningful if I go and say, "Welcome to Steemit! Have fun!" to everyone if I don't have a clue as to what they're saying. Hopefully someone who does is doing that anyway. I find it tough to really use any of the general tags, because they get used for a lot more than just the topic, and since there's five different tags people can choose from, that muddies things up some more. I need to do a better job of getting into the tags that are specifically for a challenge or something, like dragosroua's challenge30days tag. I've had some success with the nobidbot tag, but there's only about a dozen people who use it on a regular basis and not all of those posts are things I share interest with. They are the standout performers at present that is for sure! Yes that could be it. The 3-10 places are pretty bunched up, I think your post count put you ahead of me in the end! You and @glenalbrethsen are the true stars here. From myself downwards it was all very close in the top ten positions. Congratulation @lynncoyle1, on regaining the top spot, and to you also @glenalbrethsen, you two are simply amazing. I struggled this week with my commenting, and with finding a variety of people to vote and comment on. All my numbers were below my average numbers. (last night I went and found the last 6 from April 1st.) Still I did manage to stay pretty close the the number of "comments" this week 261, average 263.5. So I am not to displeased with that, holding steady, There were a few shorter comments though, so I need to work on that aspect a little better. I think everyone is doing a great job out there on commenting. I don't know if I will make it back into the top 11 or not, there are so many out there now trying to make a difference, it is like steemit is growing, not only in numbers but in people showing respect for each other. Steemit is passed the crawl stage we are all gaining our footing, and running around like those terrible 2's, but not quite as terrible as it used to be. We are in the boundary learning phase. there are so many out there now trying to make a difference, it is like steemit is growing, not only in numbers but in people showing respect for each other. No worries about a mid-table finish, that is still way above the average across the Leagues, and streets ahead of those who are 'active' on the platform. Thank you so much @bashadow, and congratulations to you as well! I love your observations too; what a nice way to view all of this :) I'm hoping you're having a great Sunday! I always have a great Sunday, I have this to view and check, and plan the week ahead, I do my newbieresteemday post, and I generally have an IFC post to do and start to think about the Marketplace post, so Sunday is a busy day. But I enjoy it. @abh12345 Thanks for organizing this week after week. I guess most of us all are waiting on Sunday until the moment you did publish it! Congrats not only to the people in the top of the engagements league but to everybody who does participate. We all know that if you don want to get into top of these league, the available time is vital! I will try to sponsors the Lucky 25 as long as I can, because I do think that it gives a little more dimension to the ones which not so much time at hand, but still willing to interact! I am surprised and not surprised to be within the top 10. Commenting on all the entries of the sbc world cup contest helps. But I rather would have taken my top 10 back by mostly commenting on other peoples articles. Guess that this will have to wait until after the cup and the holiday! It is also great to read all the friendly banter in the comments. And most important the fact that people do read the comments and reply on them! This is a real showcase how things should be going here on the blockchain! To bad, it is one of the exceptions! Me being spot on happens once in a year! Glad that I could save it until almost half way the year, has happened before that this moment already came in January! Congratulations, guys! Good to see your name high on the table. Thanks for the well-wishes. Congratulations to you, again. I'm hoping for a better week this week than last, though. I'm not sure what happened, but it seems like people went on vacation or something. I spent much more time searching and reading than I normally have to get a place to comment, and then folks just didn't reciprocate. Hard to hold a conversation that way. Wooo hooooo finally made top 10 on one of the lists. Thanks. That whole steemit being down for me thing really messed me up. Thank you. I have put a lot of research into it and am trying to fine tune everything. I would have had a better week but steemit was down for me for a couple days and then i was just not able to get on much when it was not down. I always shoot for first place so I will be gunning for it this week. That's a good way to live—go for the top. I didn't notice Steemit down this week so much. It was the week before when I was also sick. I think there was a day where it was kind of buggy but not nearly as bad as normal. Maybe it was the node you routed through? I wonder how many other people were affected by it. At any rate, it's not good when that happens. Very tough to be productive. And when Steemit is down, that typically means the rest of the apps, like Busy are, too, so it's STEEM-wide. Yes busy was down, and steem world was also down. Steemworld would just load to 15% then stay there forever. When it did finally come back up I was busy with real life so I couldn't do much then either. I am going to try. This was actually my worst week in a long time. All the other times i messed up by delegating or renting SP or something that would disqualify me. Thanks for putting this on. When does this run from? I guess when is the start and stop times is what I am trying to ask. I was just wondering because I have earned almost 10 SP since then. I was just curious. Wow! Congratulations to the Winners and all participants. These performance levels are amazingggg!!! Hi again, @abh12345. ;) @bashadow was kind enough to comment on one of my posts and give me a heads up about your Curation and Engagement Leagues. Would it be possible for me to join? Hi again @angelacs, I was wondering if you would arrive as I've seen lots on engaging comments from you recently. You are now on the lists, welcome! But nothing before the right time. Happy to be here and Thanks again for the heads up, @bashadow. Is there any specific guidance you have for League newbs, Asher? Hey! Welcome to the leagues! I guess I didn't know you weren't already a part of them or I would have invited you, too. Sorry about that, but good job @bashadow! It's definitely been an attitude changing experience for me. As for our performance levels, they're actually generally higher, so just a heads up on that. :) No pressure, though. The prizes are nice, and they do add motivation, but the fun and the importance of the leagues is just getting out there and doing our best to post, comment and curate as much as we can. As I look over the list I have to be impressed with everyone . To be in such company is humbling . The impact on the platform is what is important and such an impact by so few is an achievement in and of itself . What Asher has pointed out here is just that . Being in the top 20% if your on the list . The gravity of that has not completely taken hold on me . If we are not a community then I don't know what one is . Thank you for allowing me the opportunity to be a small part of this endeavor . My pleasure, thanks for taking part. 5% of the platform . wow what a large number and impressive stat to be in . I have to agree wholeheartedly with what you say about the impact this league and its members are having on Steemit. From greater retention among leaguers than among the whole of Steemit as found in a recent post by @paulag, to just the reactions people have when someone actually comments on their post, I know we're making a difference, and I know people are noticing. We just need to keep growing and keep going, right? If we are not a community then I don't know what one is . If I was a wordsmith I have some to say here . It long and have so much value not just to the conversation but also the moral of the person that someone took the time to read his post and make a wonderful comment. I can barely get out of my comments for 11 posts how can someone make 27 posts and still have energy to comment hahahha that is just amazing!! Good to see @eaglespirit in the top 10!! you can do it! I was surprised with League 1 being in the top 20 but I was able to secure a coiple of posts that got curied so that would explain why I got 4 SP for the week. Too bad I won't be able to monitor that since I will be delegating to the account @giftinkindph some of my SP and it will go on and support some charities like @youarehope, @Tarc and @backtoschool. I finally made it's intro post and entered it a win Steem donation contest so I'm full set to go with my project! Also because of it I might not be able to comment as much since I will be busy buying and packing stuff hahaha! Thank you very much sir, we @backtoschool are forever grateful for your support and will always work to achieve our optimum goal which is sending the less privileged Nigerian Students @backtoschool and donating to help the handicapped and also be of immense assistance to creative minded students in paying their tuition fees. Above all @backtoschool is ready to expand it's shores across the globe with time sir. i am @chibuzorwisdom 10th Admin Representative @backtoschool. Yeah 27 posts is pretty epic, almost 4 a day! Delegations will knock you out of L1, but don't worry - I've not been there for months! Hey, Asher. How's it going? I don't know where I expected to end up this week, but it wasn't number one. So, that's all good. That said, once again, another close finish between the two top spots. Still a good thing to have parity in this league as much as it is possible. It's good to even have the curation and engagement leagues, so thank you, as always @abh12345 for making all of this happen. Which means a thank you also goes out to both @paulag and @carlgnash for your ongoing and unwavering sponsorships of these leagues. What can I say, @lynncoyle1? If the crown fits, wear it! Congratulations on the win. Your weekly efforts all over Steemit are awe inspiring to all, and therefore your successes well deserved and earned. To the rest of the Top 10—@gillianpearce (we've got our backs, right? :) , @eaglespirit (yaaaaaay! ), @malloryblythe (I don't think we've met but well done for your league placement and congratulations on the curie (and then giving it away! ), @maverickinvictus (hanging tough, staying true :), @leeart (nice! we'll just keep appreciating all comments and replies, right? :), @fullcoverbetting (wait—you?! weren't you busy or something? Nice job. :), @melvadg (it's good to have you as a friend, congratulations! :), and @mountainjewel (welcometosteemit winner and back in the Top 10). To everyone else, well done and keep it up. Our efforts are not going unnoticed. Thanks Glen, congratulations to you as well! Our efforts are not going unnoticed. Well I'd like to think so. The prize pool this week was a bonus (I used half the months sponsorship oops! ), but the post hasn't attracted any extra 'whale' support thus far. Still, a host of new entrants and we shall see what happens next time. Okay, so it sounds like we need to go do some fundraising maybe? Bake sales? Car washes? Candy bars? I don't know. I think we keep making waves. 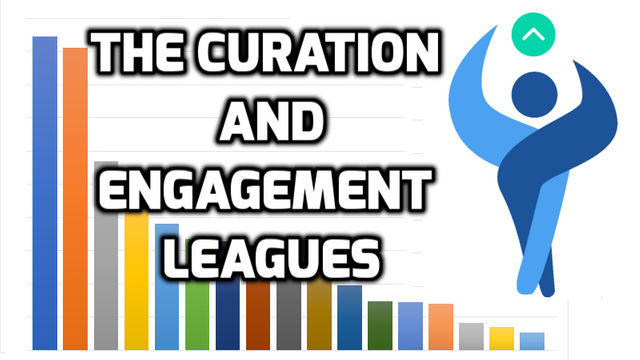 More people joining means more people being retained longer, as well as more engagement and curation, so if there's any desire to keep this platform afloat, that trifecta has to get noticed. I mean, you draw attention on your other posts, so it's not like people don't know you're around, or what you're doing. So, is it a pot sweetening deal? And how do we go about that if "for the sake of the community and platform" isn't enough, without violating the intent and purpose of the leagues. I'm not a "you need to abandon the purpose of the leagues to save the leagues" kind of guy. As it is, if we need to back off the rewards, I'm game. I enjoy receiving the incentive, but let's face it, I'm not in it just for the STEEM every week. There's much more to doing this than that. It's a mindset, a worldview, and I've bought into it. So, what do we need to do to blow the doors off this place? Well although I'd like to keep boosting the rewards, I think what's distributed is reasonable. The price of STEEM/SBD will always have a say, and the odd decent up-vote also. I'm just not sure that engagement is seen as a key element right now. As you say, I think enough larger accounts have seen the weekly post at least once, but I'm just not sure they see the value. Steemit inc are focused, and this is no bad thing, on the blockchain, smt, communities, and perhaps when the 3rd is released there will be something built in to monitor engagement within. Well, I've been in the Top Three now except for the first week since I started, so I guess my expectation is to be in one of those three spots each week, with the focus being on No. 1. It does feel good, but I also know I have more time than most, so there's a disadvantage just in the number of hours I can spend. At some point that probably comes to an end, but for now, I'm trying to dedicate as much time as can. Okay, well, if we need to go fly sign on a street corner somewhere to keep the leagues going, let me know. I'll keep trying to spread the word (while trying not to overdo it, too, since that's never helpful), and I guess we'll keep on keepin' on, won't we? Congratulations on your well deserved second place! Well, thank you again. I'm feeling fortunate to finish second after last week, so I'll take it, deserved, earned or not. The cool thing about keeping track of what I'm doing is that I can try to make adjustments, spend more time on something and less on another. But the downside is, when nothing works and time runs out, the feeling bummed about it starts earlier. :) Except, then it's not a surprise when the league results come out because I pretty much know where I stand. So, I guess it's still a good thing for me. Comparing my performance to historical data would be a real downer for me. Either I'd be feeling down that I wasn't doing as well or I'd be pushing myself to keep up or something else. I've been finding out that it's not for everyone, and that's okay. I was getting down because I didn't know what I was doing and I needed to find out. Many are like you where it's better not to know because it's not fun trying to track numbers or keep up with yourself (let alone others) all the time. So you do what you do and enjoy it all as much as you can.